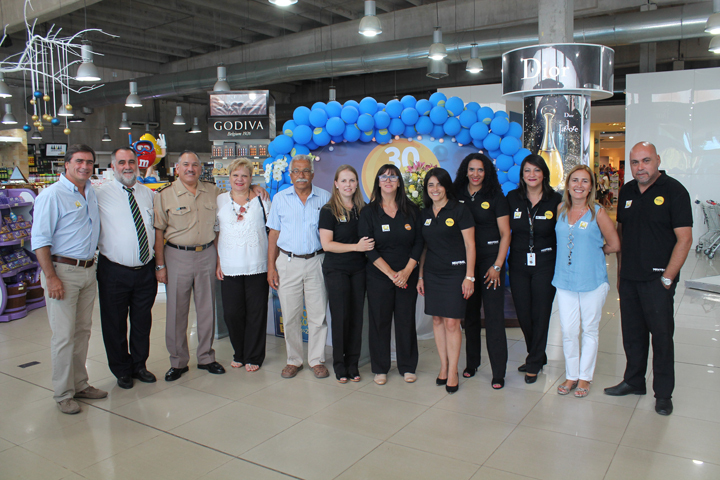 Neutral CEO Enrique Urioste, far left, and staff and guests, celebrate the border store’s 30th anniversary in festivities in one of the stores in the town of Chuy. 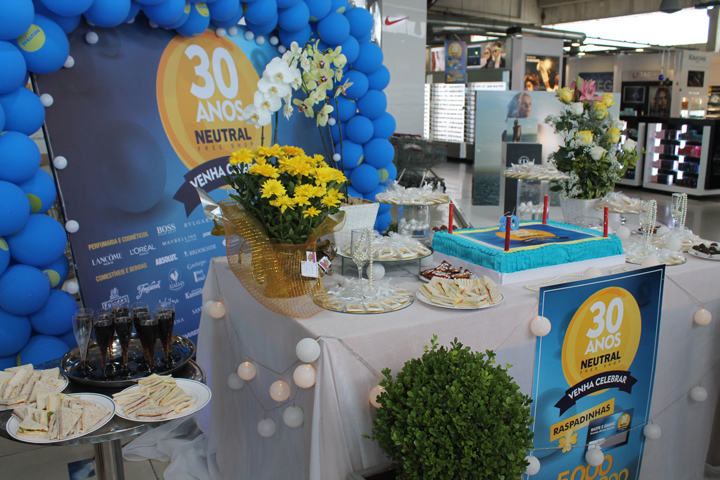 Congratulations to Uruguayan border store, Neutral Duty Free, which celebrated its 30th anniversary on January 24 in Chuy, the location of the group’s original shop opened 30 years ago to the day. Neutral is the largest duty free chain in Uruguay, employing more than 500 staff across its nine locations. Neutral CEO Enrique Urioste hosted the milestone event attended by customers, friends and government and tourism authorities, toasting the guests with a look back a Neutral’s history and forward to its future development. Following the speeches, everyone enjoyed a piece of the giant anniversary cake. The Neutral border stores are located across the main land access routes into Uruguay, in the cities of Artigas, Rivera, Bella Unión, Río Branco, Aceguá and Chuy. 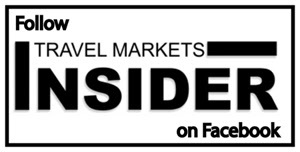 The largest Neutral duty free store is the new 4,000 sqm super store in Melancia Mall in Rivera. 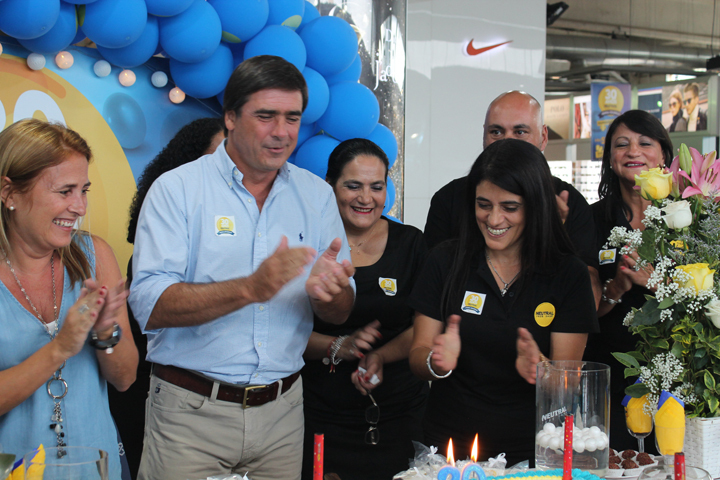 Neutral CEO Enrique Urioste celebrates the 30th anniversary of the Uruguayan duty free border chain in Chuy, Uruguay on Jan. 24, with staff, customers and guests, accompanied by Neutral shareholder Victor Hugo Mesa.